Police are not seeking anyone else in connection with their investigation. 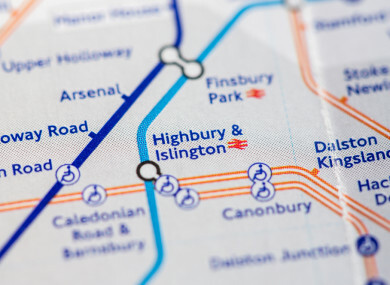 A MURDER INVESTIGATION is under way in London after a 61-year-old woman died from head injuries following an incident in Islington. Police were called to the scene just after 7am yesterday morning, and the woman was admitted to a north London hospital where she later died from her injuries. It is understood that she sustained the injuries at a residential address where she’d been working as a carer. A 95-year-old man was arrested on suspicion of murder. He has been taken to hospital as a precaution due to a pre-existing medical condition. He’s set to remain there pending his transfer to a location where his “complex health and care needs can be managed”, police said. The man has been bailed while police enquiries continue. Email “Met Police arrest 95-year-old man for murder after carer (61) dies from head injuries”. Feedback on “Met Police arrest 95-year-old man for murder after carer (61) dies from head injuries”.